The Bento4Japan  fundraiser organized by my fellow bento bloggers has already raised thousands of dollars to aid Japan’s disaster relief - and it’s still running! And, here’s a chance for you to get one of the prizes that was offered! I do ask that you consider donating something more towards Japan’s disaster relief efforts. 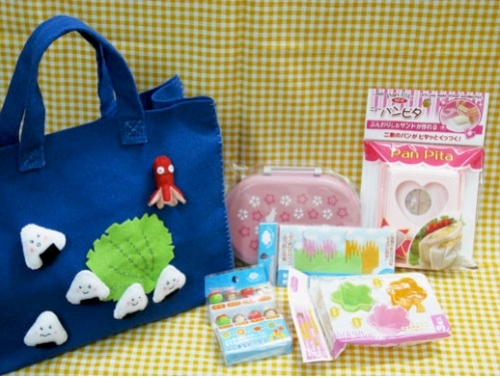 You may not be able to afford bidding on Bento4Japan auction item , but maybe you can spare a few dollars or Euros (insert your local currency here)! I can’t track donations officially of course, but if you do decide to enter this drawing, just let me know if you donated to the Red Cross or another organization, dropped some change into a donation box, and so on. (And of course, no one would lie about something like that…right? ^_^;) I’ll keep an unofficially tally of what’s been donated. If you’re not sure how to donate, check out the long list I put together here .